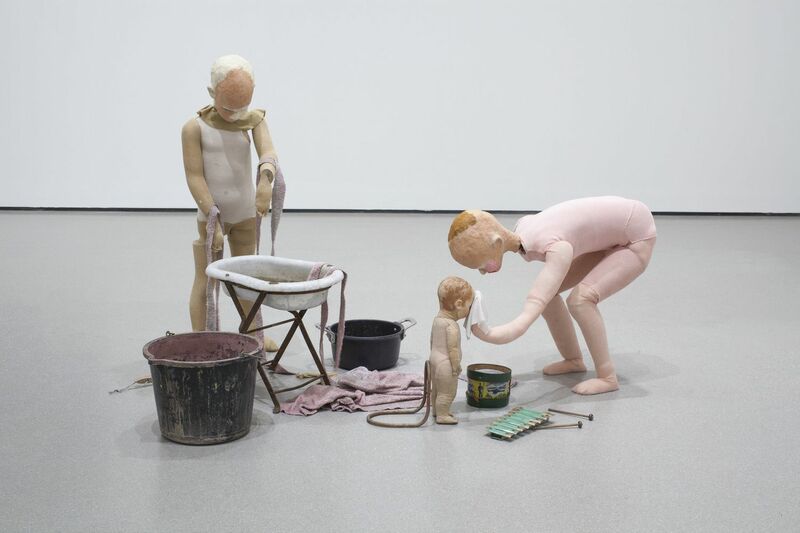 22-25 Jackson Ave. at the intersection of 46th Ave.
MoMA PS1 will present the first solo museum exhibition in New York focused on Glasgow-based artist Cathy Wilkes, in conjunction with the inaugural Maria Lassnig Prize. Since the start of her career in the 1990s, Wilkes has created sculptural tableaux that engage with the rituals of life. Regularly employing quotidian products and residual materials drawn from her domestic life, Wilkes’s installations connect the banalities of daily existence to larger archetypes of birth, marriage, child-rearing, and death. This combination of the personal and universal parallels a meditation at the heart of her work, in which Wilkes’s art enacts an exercise in empathy, exposing deeply felt subjective experiences to reach beyond herself while also insisting upon the fundamentally private nature of artmaking. Wilkes is the first artist to receive the Maria Lassnig Prize, a biennial award established by the Maria Lassnig Foundation in June 2016 to honor the achievements of mid-career artists. The Maria Lassnig Prize was originally envisioned by pioneering Austrian artist Maria Lassnig before her death in 2014 at the age of 94, at height of her artistic powers. Having achieved recognition only later in life, she hoped to encourage the efforts of fellow career artists not yet familiar to the public. In 2014, MoMA PS1 presented Maria Lassnig’s first comprehensive American museum survey to universal acclaim.